Attention Metallica fans who still wish that Hetfield and co. stuck to the no-frills metal sound laid down on their debut (1983’s Kill ‘Em All)–you’re sure to love Voivod’s War and Pain as well. Some of the reasons why 1984’s War and Pain sounds strikingly similar to Metallica’s Kill ‘Em All is because of both albums’ dry production, straight-ahead metal guitar riffs and almost identical guitar sounds, and sometimes sophomoric lyrical content. 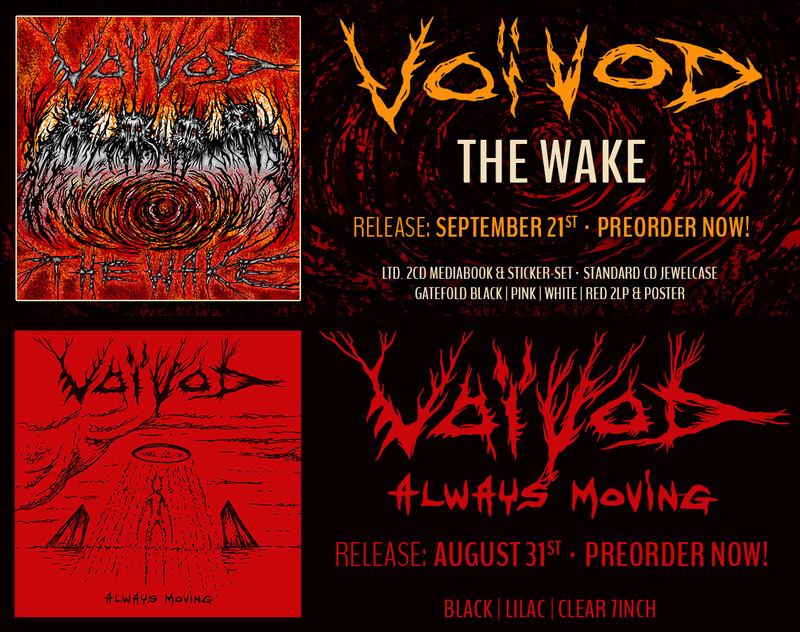 Voivod latecomers should know that the group wasn’t always an experimental/progressive metal band, as evidenced on the later albums Nothingface and Angel Rat. The group’s first classic, the song “VoiVod,” is featured here, and is still played by the group is concert to this day (one of the few songs that contains some contrasting textures, even if it’s just for about five seconds at the beginning). Other metal delights include “Warriors of Ice,” “Iron Gang,” and the title track, which are all about as subtle as being hit by a sledgehammer. By listening to their debut, you can easy to see that the group built their later highly original sound on the foundations of heavy metal. War and Pain is by no means an embarrassing debut, it’s just that when compared to other albums by the group, it’s apparent that the band was still trying to find their own metal approach.